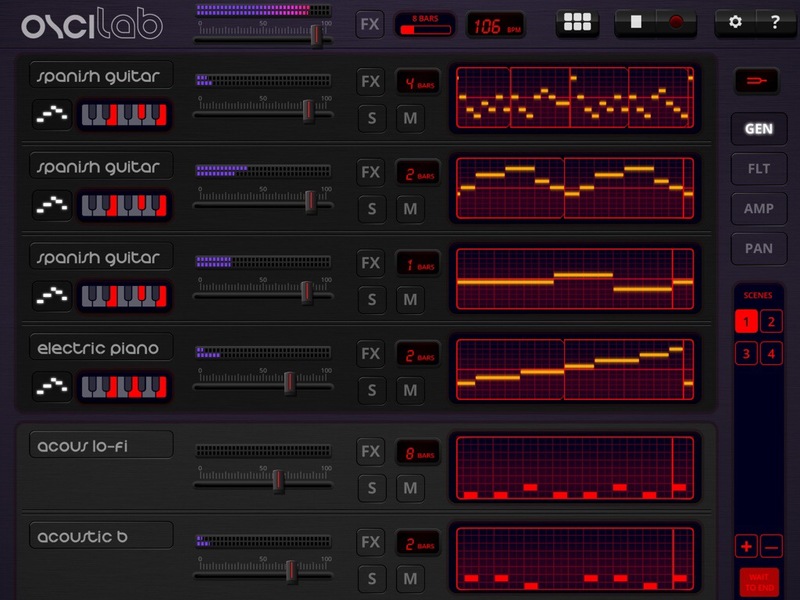 Oscilab has been on the radar of anticipated new music apps and now finally hits the App Store. 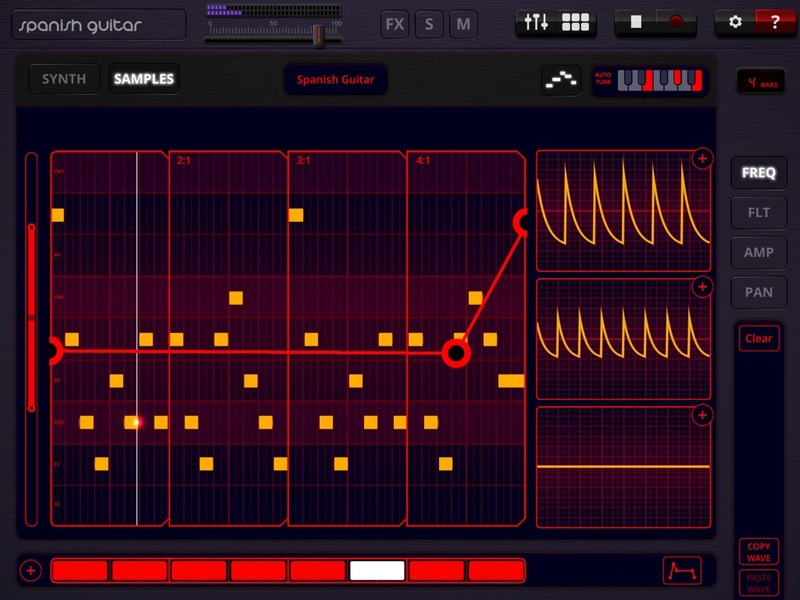 It is a unique wave sequencer where by touch, drag, and sweeps will determine much of the music making experience. Right off the bat I was feeling great and very happy with how it operates even if it was a little unusual. Didn’t take long to get comfortable with this at all. 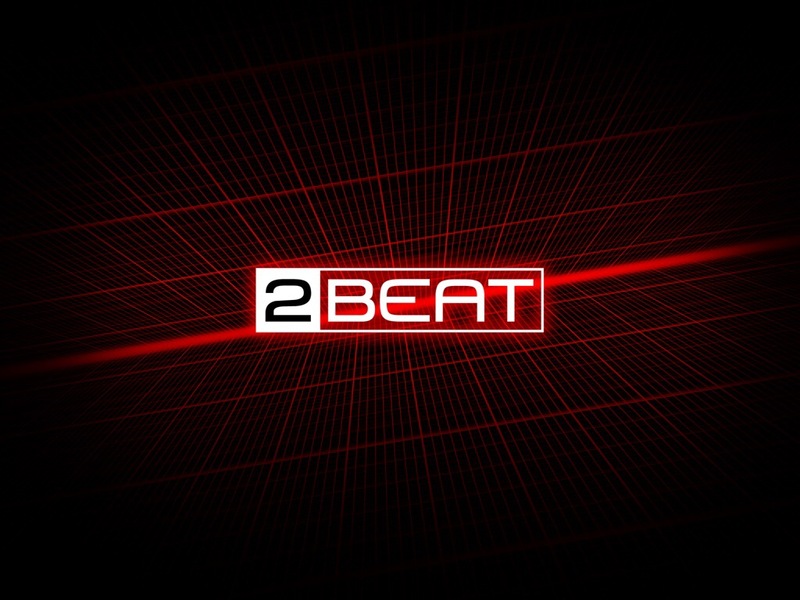 28 wave shapers, 6 channel mixing, FX and great on the fly live sound manipulation for each channel independently via X/Y pads and some pretty nice synthesis and drum options are some of the many features. Everything is easy to find and access. Great interface. I likey! Exploring this unique and fun new sequencer has been nothing short of fun. I really like how easily they made this for doing live tweaks to the sounds. With scenes that can wait until the current one has played out before the next seamlessly enters the flow, and instantly changing a sequence without any drop outs is sweet. Shaping the sounds wether they are loaded samples or your own synth designs at a whim rocks. The FX are pretty simple if not a bit bland, but no problem just run Oscilab through Audiobus or IAA and use your other FX apps to…. To…to… Hang on? Wait a second? Where’s the Audiobus or Inter-App Audio support? I assumed it was available, but where? Just AudioCopy, “Open In” and SoundCloud for sharing….WTF? This isn’t 2009. Did this cool, fun, impressive app really just get released without the most basic and expected supports for inter app connectivity? It can’t be? Not again…… Geeeez! How frustrating. This isn’t happening, is it? Well, I guess so, never mind. I don’t mean to be harsh, this is a cool new app, but come on. Call me when it can actually be integrated in the most common workflows we actually use these days. Then I’ll finish the review. Until then this ones on hold. Since I initially wrote this half review Oscilab has seen significant updates with great improvements. I’ll try to be brief and to the point. Now with Audiobus support and Inter-App Audio, improved midi functionality, and other nice tweaks Oscilab is my new favorite goto sequencer. To of sense and doesn’t try too hard to be different. You’re absolutely right. 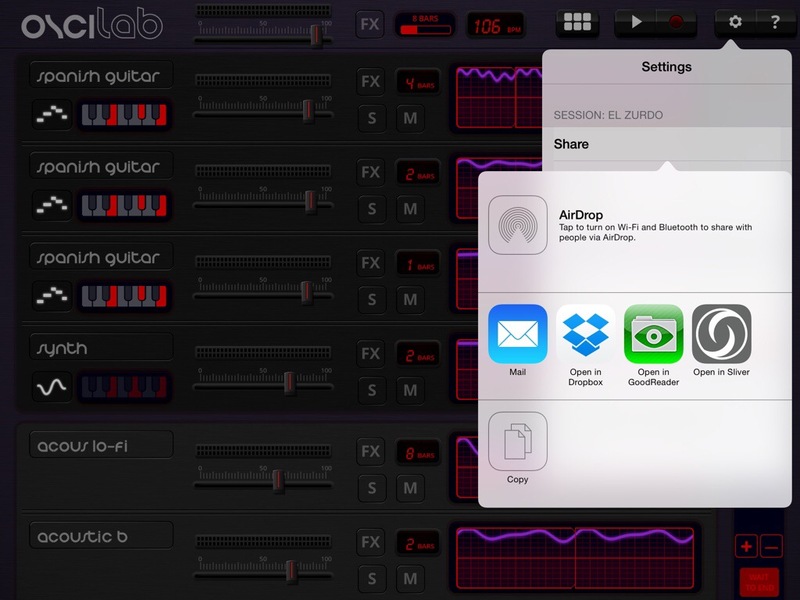 Oscilab needs background audio, midi sync start and stop, IAA and Audiobus. Until it is updated with Audiobus and IAA it should be name OsciMaschine. It’s crazy that they left that out esp. since AB and IAA aren’t something they would have to code from scratch. They did say at least that these will be added in the next update. I just don’t get why they weren’t in at launch. The ideas are very useful in this post and i really appreciate all the ideas in this post. Thanks and keep on it..
Can someone explain to me how I can hook Oscilab to Logic Pro X? My goal is to create something in Oscilab and send the midi file to Logic Pro X? What should I do when I’m Inside Oscilab to send the data and what should I do in Logic Pro X to receive it? I already have a Lightning to USB cable. Thank you in advance.